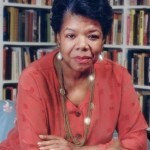 About Dr. Maya Angelou by: Kim Simpson – Dreams Made Real Inc.
Who knew that a little girl named Marguerite Johnson would start out her young life enduring rejection, suffer prejudice, be raped, become a mute, work as a prostitute, struggle with her self-esteem and have a child at 17? Sounds like a tragic list of statistics. Who knew that from the ashes of such a horrid and tumultuous beginning would rise a phoenix that would transcend the darkest nights and the most fearful days. This same little girl grew up to become a treasure of the ages. Yes, this same little girl who became mute as a result of trauma she had endured, grew up to become a vessel filled with wisdom and the power to transform others with words. 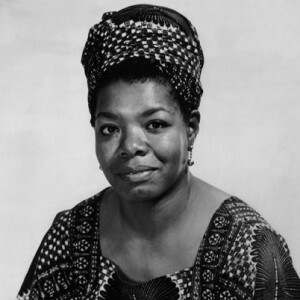 She became Dr. Maya Angelou, one of the most renowned and influential voices of our time. A celebrated, Grammy Award-winning poet, novelist, professor, producer, actress, historian, filmmaker and one of the pillars on the forefront of the civil rights movement. Dr. Maya Angelou changed the lives of countless numbers and many of us will never be the same because she was here. She penned a multitude of poems and spoke so transcendently and eloquently, and shared golden nuggets of wisdom with us in her heavenly way of making us think. She put into words what many of us could not express in any other way. She stood flat-footed and sure and told the listeners in that majestic, knowing tone, as only she could, to choose life and not death, to be better, think bigger, fly like an eagle because you can. 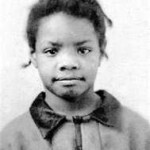 The world is a better place because that little girl named Marguerite Johnson was born. 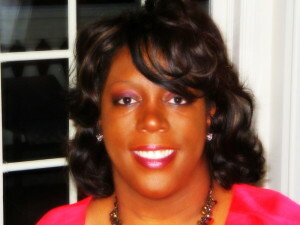 God blessed her with a mind and a voice like none other. She can never be replaced. Thank you Dr. Maya Angelou for your contributions and timeless wisdom and for your legacy. You poured out all you had and now it is a sweet fragrance for the world to enjoy forever. Rest in peace. Her life is an example for us to live by. Never let your start in life cancel out your finish. Whether you are an artist, writer, entertainer, dreamer, businessman and businesswoman, entrepreneur, teacher, mother, father, student or whatever your role in life, never underestimate your power to make a difference in the world. Never let your age tell you it’s too late to follow your dreams and reach your goals. Never let someone else tell you that you can’t have your dream because that’s never been done before or you’re not smart enough, talented enough, pretty enough, connected enough, rich enough or that you’re just not enough. You have a remarkable example to disprove those lies–her name is Dr. Maya Angelou–who was that little girl named Marguerite Johnson. Previous Previous post: DMRs Fan of The Month Contest!